BRYAN EATON/Staff photo. 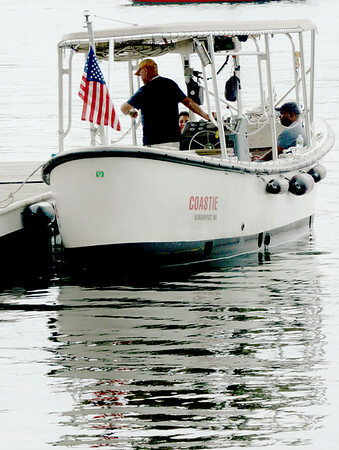 With three people on board, captain Bill Taplin checks his watch for his 4:30 tour on Tuesday afternoon on his boat Coastie. He takes people to tour the Merrimack River upriver to Amesbury past Lowell's Boat Shop and while these people were waiting pointed out a seal that was jumping up for fish.